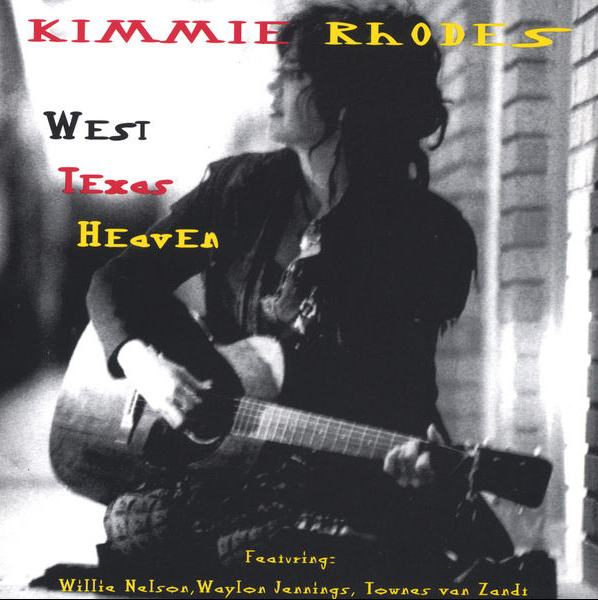 If West Texas had a voice I think it would sound like Kimmie Rhodes. Her nightingale’s warble is as plaintive as the flat plains, pure as the untainted air, as big as the endless horizon, as wild and free as the wind. That alone is plenty of reason to warm up to her music, but that would overlook her ability to write songs so compelling and universal that stars like Wynonna cover her material or deny a presence so appealing that friends like Willie Nelson, Waylon Jennings, Townes Van Zandt and Joe Ely volunteer to lend their voices to hers. She’ll make you dance, she’ll make you listen, and most of all she’ll make you glad that there are a few folks left on the planet who make music for the pure joy of it all. Cowboy Arms Hotel and Recording Spa, Nashville. thanks to Randy Banks for “Where is my love”.